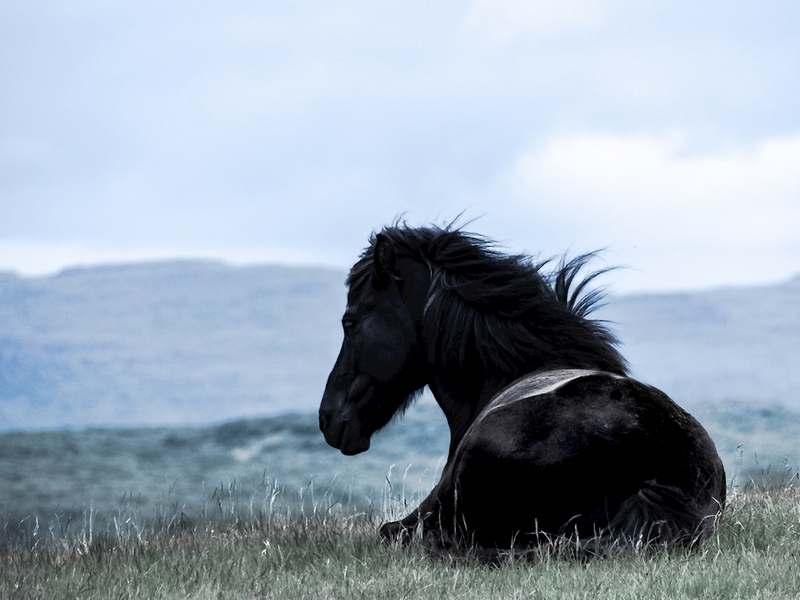 Icelandic horse rests on the grass. Please look into my collection "Raphsody in blue" here on Printler. I have collected some pictures in color combinations agua and black and white. Enjoy.